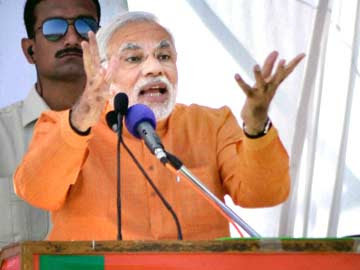 Narendra Modi, who is running for prime minister, has in a blog provided his first detailed account of the Gujarat riots of 2002 in which more than 1,000 people were killed. Mr Modi’s blog comes a day after a court upheld the result of an investigation that cleared him of complicity in the riots. I had to single-mindedly focus all the strength given to me by the almighty, on the task of peace, justice and rehabilitation; burying the pain and agony I was personally wracked with. During those challenging times, I often recollected the wisdom in our scriptures; explaining how those seating in positions of power did not have the right to share their own pain and anguish. They had to suffer it in solitude. I lived through the same. I had appealed to the people of Gujarat on the day of the Godhra train burning itself; fervently urging for peace and restraint to ensure lives of innocents were not put at risk. However, as if all the suffering was not enough, I was also accused of the death and misery of my own loved ones, my Gujarati brothers and sisters. Can you imagine the inner turmoil and shock of being blamed for the very events that have shattered you! The Gujarat Government had responded to the violence more swiftly and decisively than ever done before in any previous riots in the country. Yesterday’s judgement culminated a process of unprecedented scrutiny closely monitored by the highest court of the land, the Honourable Supreme Court of India. Gujarat’s 12 years of trial by the fire have finally drawn to an end. I feel liberated and at peace. Emerging from this journey of pain and agony; I pray to God that no bitterness seeps into my heart. Unimaginable suffering’, ‘absolute emptiness’, ‘agonizing days’, ‘shaken to the core’…Nope, this isn’t some existentialist potboiler, it’s Mr I-can’t-wait-to-be-Prime-Minister blogging with contrived passion about how devastated he was by the horrific violence that exploded under his watchful gaze back in 2002. ‘Grief’, ‘sadness’, ‘misery’, ‘pain’, ‘anguish’ – these are ‘mere words’, he says, compared to the state of utter depletion he was suffering at the time. Okay, this isn’t Booker prize stuff but in a culture where no politician ever bares his/her soul quite this way, what is this politician up to? From the Art of Secrecy (the bestseller commonly known as Snoopgate) to Theatre of Hypocrisy (Sadbhavana), we’ve had a series of stunning oeuvres in the last few years, is this the latest instalment? “Pandya said his son had told him that a meeting of BJPworkers took place in Lunawada in the Panchmahals on February 27, 2002 — the day when the Godhra carnage took place — where Modi instructed workers to fan out in the state. “Haren told me about the incident. He also told me that the authorities had instructed the police that revenge for the Godhra deaths shouldbe allowed and that they should go soft on kar sevaks,” Pandya told thecommission. This was reported in The Times of India the very next day (4 February 2005) and has the full ring of authenticity, testimony proffered to a Commission whose head (Retd. Justice G. T. Nanavati) washostile to this witness. But the aged Pandya was clearly beyond caring what happened to him personally when powerful forces could have his son assassinated in broad daylight with such shameless temerity. “The minister spoke to the tribunal on the condition that it would not name him in its finalreport. Another member of the panel has also confirmed the minister’sdeposition. The minister told Outlook that in his deposition, he revealed that onthe night of February 27, Modi summoned DGP K. Chakravarthy, commissioner ofpolice, Ahmedabad, P.C. Pande, chief secretary G. Subarao, home secretary AshokNarayan, secretary to the home department K. Nityanand (a serving police officer of IG rank on deputation) and DGP (IB) G.S. Raigar. Also present wereofficers from the CM’s office: P.K. Mishra, Anil Mukhim and A.K. Sharma. The minister also told Outlook that the meeting was held at the CM’sbungalow. The minister told the tribunal that in the two-hour meeting, Modi made it clearthere would be justice for Godhra the next day, during the VHP-called bandh. He ordered that the police should not come in the way of “the Hindu backlash”. At one point in this briefing, according to the minister’s statement to the tribunal, DGP Chakravarthy vehemently protested. But he was harshly told by Modi to shut up and obey. Commissioner Pande, says the minister, would later show remorse in private but at that meeting didn’t have the guts to object. The word was passed on to the mobs. So, what about the ‘anguish’? ‘Pain’? ‘Agony’? ‘Absolute emptiness’? More like eternal sunshine of a spotless mind.